Well, there is good news and bad news about pores. The bad news: Some people are simply genetically predisposed to having larger pores than others. The good news: All pores can shrink to a degree if cared for properly. Why are Large Pores Bad? A beauty stigma has been associated to large pores for decades. The reason being??? For many people, large pores is directly related to clogged pores from oil, dirt, and dead skin cells that build up over time from poor hygiene. The results of clogged pores often leads to whiteheads, oxidized oil, blackheads, and irritated skin. It is also important to note your pores can appear larger because of sun exposure, menstrual cycle, over-washing, skin type, skin conditions, age, and being a man. As you get older, due to the fact you lose elasticity, it simply becomes more difficult to shrink your pores. And, sorry gents, often times, men have larger pores than women. Steaming your face does not actually open pores, nor does anything else. The same is true of pore closing in that you cannot do this either. You cannot permanently shrink or remove pores with products. Basically, your pores have an important purpose and will always be a part of your life. In addition to regular face washing, it is essential to choose the right products. Wear moisturizer with SPF every day to prevent sun damage that will make your pores appear larger. You might also consider a clay mask, every now and again as they are a superior product at removing oil from pores far beneath the surface. 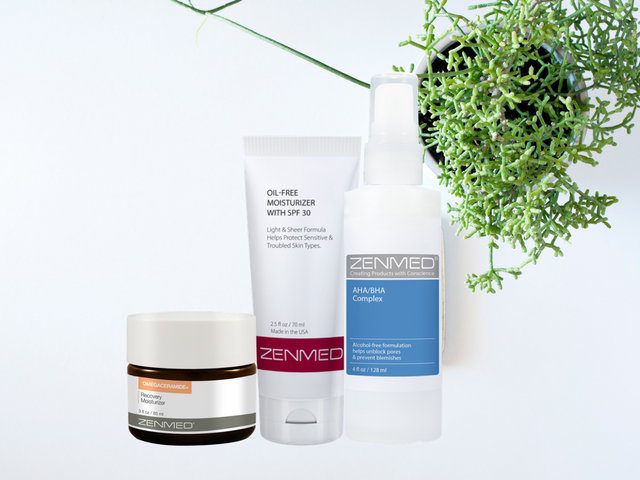 Use products that focus on removing blackheads and eliminating pore congestion. And, products with retinoids and glycolic acid are widely believed to tighten pores and to stimulate the production of collagen. You can also seek out treatments from dermatologists that are likely to help minimize pores, at least while you are receiving treatments or taking medications. Moral of the Story: In some cases large pores may be somewhat negative simply because it may mean you are not cleaning your face frequently enough or properly. In other cases, it is simply out of your control due to age or genetics. As long as you are caring for your pores properly with regular washing and exfoliation, try not to be too hard on yourself and your pores because much of it is out of your control.